The Prince of Wales Island International School (POWIIS) was established, legally owned and operated by MTT Learning Academy Sdn Bhd (MTT Learning). MTT Learning is governed by 4 Directors appointed by the Board of Directors of MTT Learning. The Board of Directors meet at least once a year at the Annual General Meeting of the Company. The Board of Directors primarily holds an advisory and governance role. The Board of Directors is primarily responsible in ensuring that good governance is maintained and developed through the ongoing development of a culture within the School that encompasses ethical practices, transparency and integrity by all stakeholders within the School. Governance is also provided by setting the direction and strategic goals of the school. The Board of Directors is also responsible for the overseeing of budgets and financial performance of the School. The Board of Governors is appointed by MTT Learning Academy. It includes representatives of the shareholders of MTT Learning Academy and representatives of the Board of Directors. The Company may appoint new members from time to time who are mutual representatives of commercial, educational or professional trades in Malaysia. The current Chairperson of the Board of Governors is Datin Seri Saisunee Ong who is also a Director of MTT Learning. The Board of Governors is responsible for protecting and ensuring the continual development and existence of the School. It is the role of the Board to provide strategic guidance for the School and to effectively oversee and review the School’s management. This includes but is not restricted to the management of budgets and financial performance of the School, appointments of the CEO and Principal(s) and long term strategic plans. 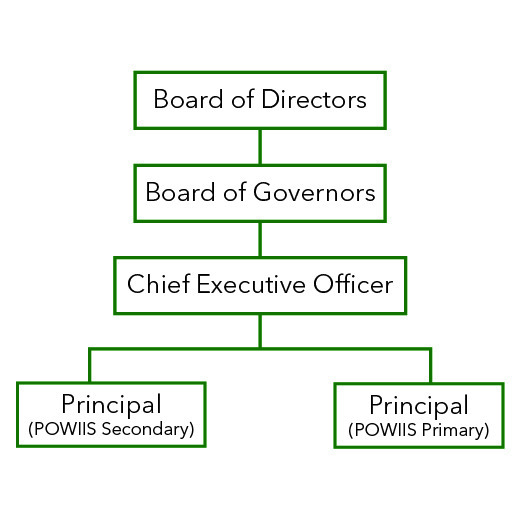 It establishes basic policies and delegates to the Chief Executive Officer (CEO) and Principal(s), the day-to-day administration of the school(s.) As the appointed representatives of the legal entity, the Board retains the ultimate legal and financial responsibility for the school. The Board of Governors meets at least once a term. The Board of Governors’ main priority is to set policies whilst the CEO and Principal(s) are responsible for implementing these policies. The Board is not involved in the day-to-day management of the School beyond the supervisory level. Communications with the school and staff are made through the Chief Executive Officer and Principal(s). Datin Seri Saisunee Ong has 15 years of working experience in the property and development field. She was the CEO of MTT Properties and Development which spearheaded the vision of the largest township development, Botanica CT in Balik Pulau, Penang. Datin Seri Ong was also primarily involved with the construction of the Prince of Wales Island International School and was part of the initial group of governing members from the school’s inception. Dato Seri Kenny Ong is the Group Executive Chairman of the MTT Group of Companies. The MTT Group of Companies, traditionally a stevedoring and barging company has grown to provide total logistics solutions, domestic shipping, property development as well as education. From 1995 to 2017, Dato Seri Ong was also the Chairman of the Green Peninsula Agencies Group of Companies which provided operates predominantly in Kuala Lumpur and also provides total logistics solution. Dato Seri Ong is also a director of the Evergreen Laurel Hotel. Dato Seri Ong has contributed widely to the local Penang community. He is the current President of the Majlis Dato’ Dato’ Negeri Pulau Pinang. From 2009 to the present he has presided as the President of the Penang Rifle Club. He is also the President of the Penang Amateur Fencing Association. Other positions that Dato Seri Ong hold include the Vice Presidency of the Penang Lighter Owners Association, Board Committee Member of the Penang Sports Council and Board of Trustee for Bukit Bendera Caing Society, Board of Trustee for Dr Sun Yat-Sen Museum Foundation. Dato Seri Ong was also on the Board of Governors for the International School of Penang (Uplands) from 1997 to 2004. 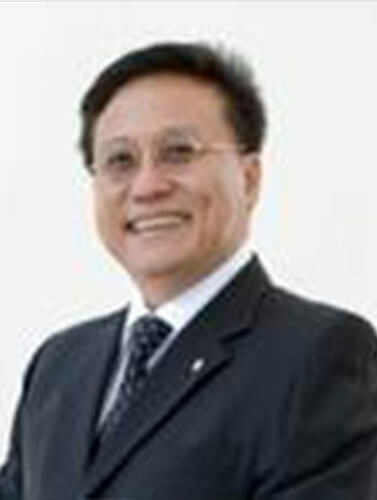 Dato Seri Siew Hai (SH) Wong has 29 years of working experience in the electronics industry. He retired from Intel after 27 years of service. His last position with Intel was Vice President of Technology and Manufacturing Group (TMG) and General Manager of Assembly and Test Manufacturing (ATM), responsible for all assembly test factories worldwide. He also served as the Vice President and Managing Director of Dell’s Asia Pacific Customer Centre for approximately 2 years. 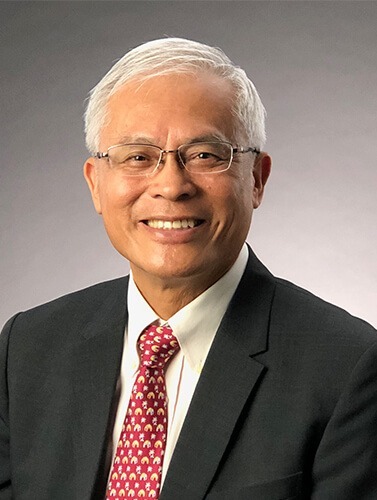 Currently, Dato Seri Wong is involved in the electronics industry as the Chairman of MAEI (Malaysian American Electronics Industry) and Chairman of the E&E Productivity Nexus. He is a Board member of the Penang Science Council and Penang Tech Centre . He pioneered the set up of Tech Dome Penang, the first science discovery centre in Penang, to inspire children and students to pursue science and engineering. Currently, he is a coach in the CGP (Cradle Growth Program). He served as a member of the Board of Directors of the Malaysian External Trade Development Corporation (MATRADE), under the Ministry of International Trade and Industry (MITI) for 12 years and was Chair of its audit committee. In education, Dato Seri Wong is a member of the Board of Governor of KDU and was recently appointed as an Adjunct Professor of Multimedia University (MMU) and as a trustee of Yayasan Universiti Multitmedia (YUM). He serves as a member of the Management Board of the Institute for Research and Innovation of Wawasan Open University since 2011. From 2001 to 2006, he was a member of the Board of Directors of Kolej Universiti Technologi Tun Hussein Onn. In charity, he is a Vice President of the Penang Welfare Association for Mentally Retarded Children and Charter President of Kiwanis Club of Penang Central. 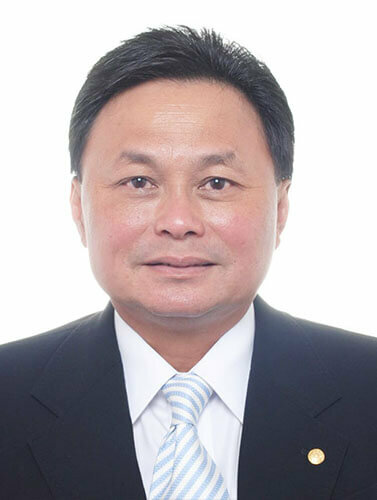 Mr Chan Huan Hin is the current Executive Director of Priority Synergy Sdn Bhd and a Director of MTT Shipping Sdn Bhd. He joins the board of governors with a wealth of knowledge in the logistics industry. His daughter Chan Mee Chween was also a POWIIS alumni. Mr Chan was also a boarder in Scotch College in Adelaide in 1979 and graduated with a Bachelor of Engineering from the University of Adelaide. Ms Clarice Ong is a Geography and Social Economics graduate from Queen Mary, University of London. She later went on to obtain her MSc in Finance and Investment in BPP Professional Education. Ms Ong spent four years as a Technical Analyst in Stockcube Research Limited which was based on the King’s Road in London. She later returned to Malaysia and joined MTT Shipping Sdn Bhd as a Management Trainee and is currently the Internal Audit Manager for MTT Shipping. In 2017, Ms Ong also took over the overseeing of all finances for the MTT Group of Companies and is currently the Director of Finance and Treasury for the Group. Ms Ong has an active interest in community service role and is currently the Earth Ambassador for the Atlantic Whale Foundation in Tenerife. In 2007 to 2008, Ms Ong was also a researcher for London Citiens and was involved in the Mayoral Elections Campaign. In 2008, Ms Ong also was part of the Alzheimer’s Society volunteer team and assisted in providing relevant information for their flagship charity event-the London Memory Walk. 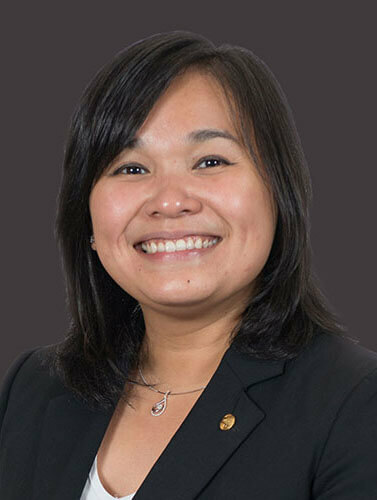 Ms Elysia Ong is the current CEO of MTT Learning Academy. 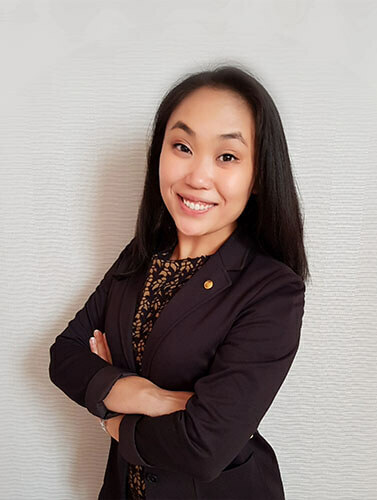 A law graduate from King’s College of London, Ms Ong completed her Masters in Law with merit at King’s College in 2005 and thereon completed her training contract with DKLM Solicitors, a boutique law firm in London. Ms Ong qualified as a Solicitor in December 2009 and also obtained her MBA from Imperial College London Business School in 2016. 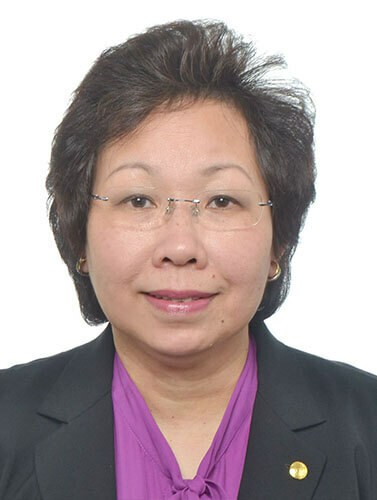 Ms Ong returned to Penang in 2010 and joined MTT Learning Academy as the Business Manager of the pioneering team who established The Prince of Wales Island International School. She was then promoted to CEO of MTT Learning in 2015. Ms Ong is married and has 2 young children. Ms Ong is also currently the Director of Corporate Strategy and Legal Affairs for the MTT Group of Companies.